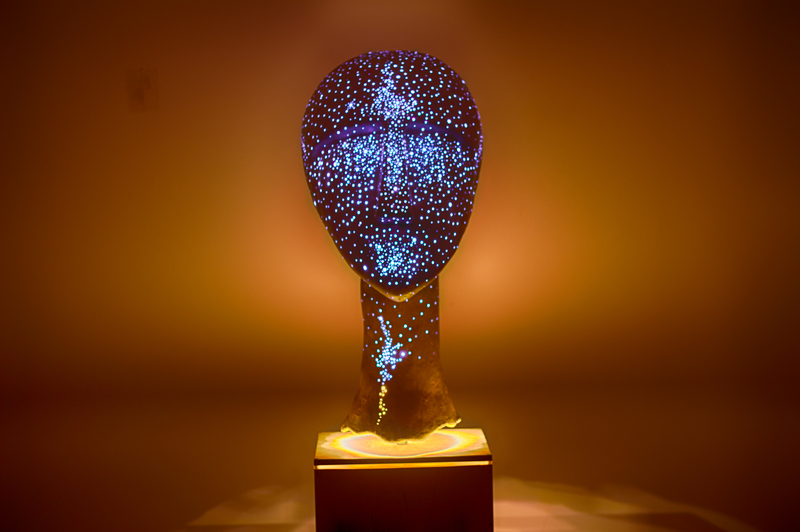 Optical fibers, acrylic resin, LEDs, Raspberry Pi, Arduino & custom software. 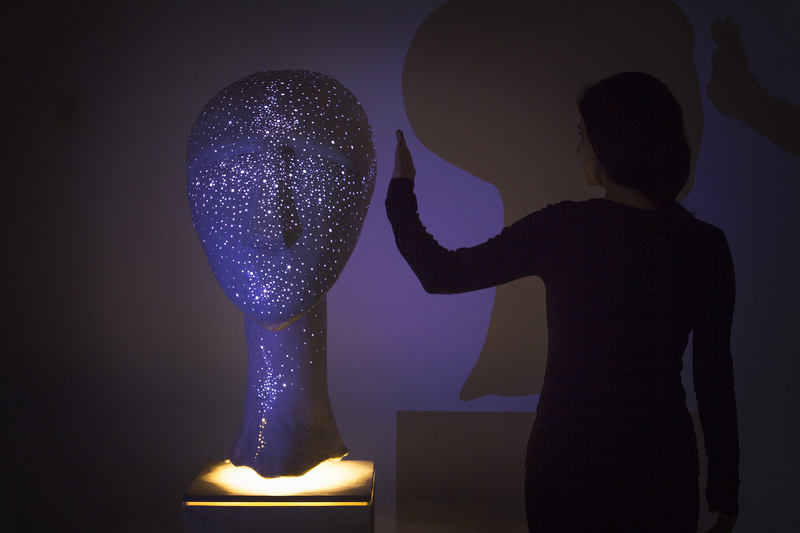 “Don’t Touch Me” is an interactive sculpture that investigates the relation between human and technology. 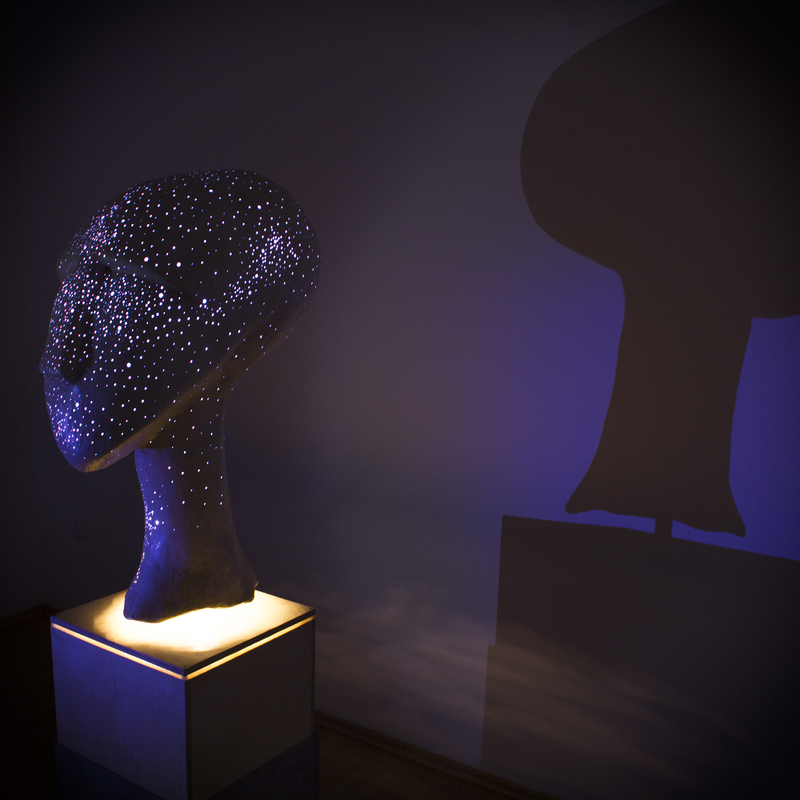 Following the previous sculpture “Touch Me”, where the visitor was invited to touch it and interact with it, this sculpture rejects and finally disallows the physical contact. When the visitor approaches its surface, it starts to emit alarming color light and sound. The pitch of the sounds is getting higher as the “intruder” get closer. If you finally touch it, it blinks in bright red color and turns off. After some seconds, the sculpture activates again. 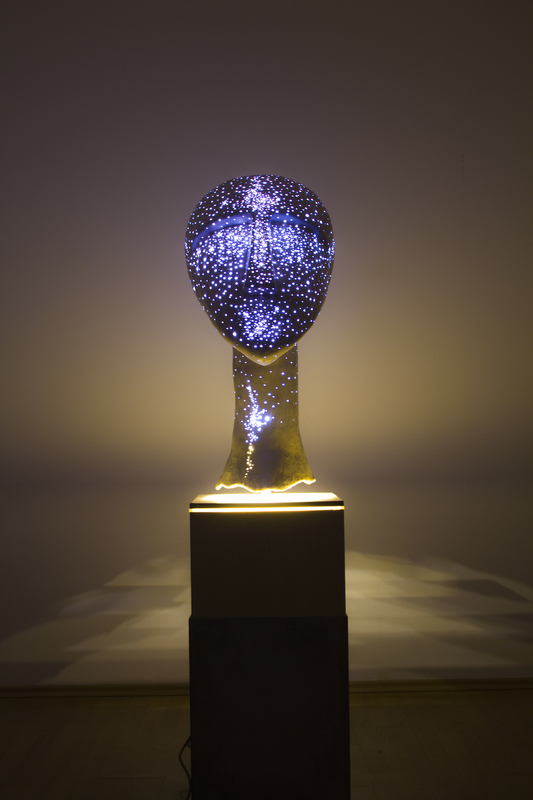 The white color and the form of the sculpture is inspired by the ancient Cycladic idols with a strong reference to the Sci-Fi futuristic culture. 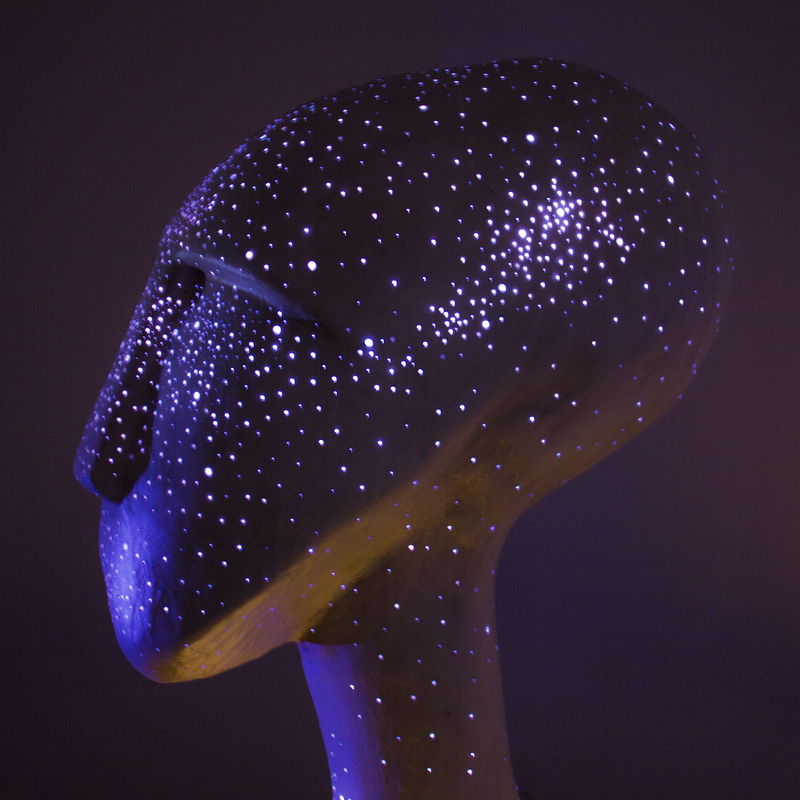 “Don’t Touch me” is trying to explore the difficulties of human-machine interaction. People are surrounded by touch technology and they are used to interact with it in many different ways. After so many haptic devices that surround us in everyday life, how ready are we to be rejected by a machine? “Don’t Touch Me” is also suitable for outdoor exhibition.